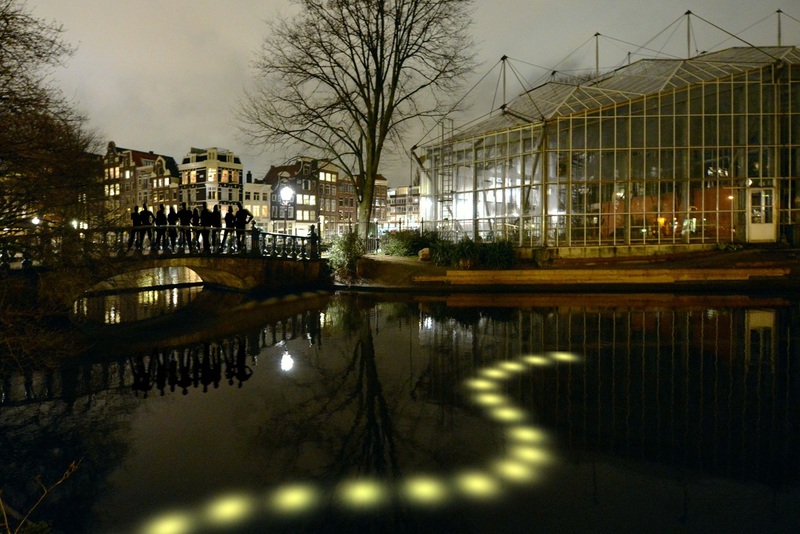 Sneaky Serpents is an interactive underwater light installation first shown at the 2014-2015 edition of the Amsterdam Light Festival. 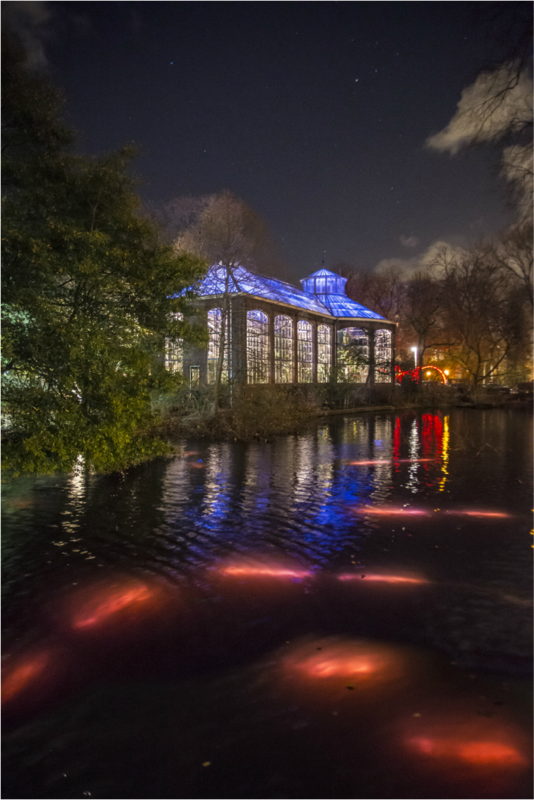 In was located in the small channel next to the Hortus Botanicus Amsterdam. 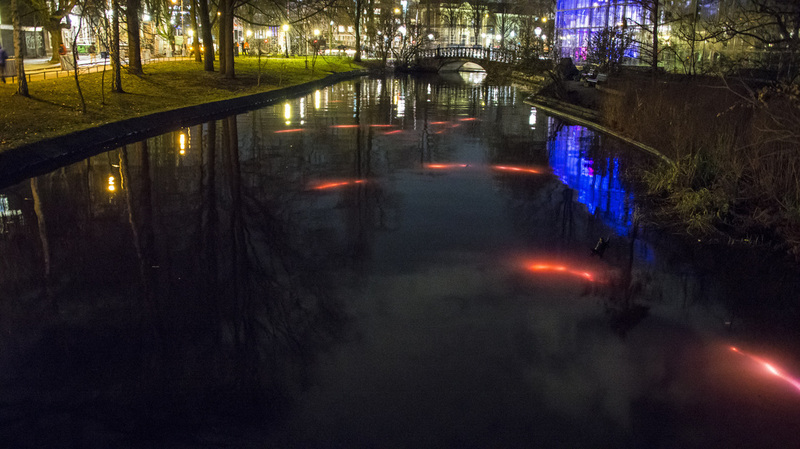 Next venues were the light festival 2015-2016 in Norrkoping-Sweden and the Noorderzon Festival Groningen in 2016. Fourth venue will be the Shenzhen Cultural Festival, China in December 2016. Often the audience is be divided by those who don't want to disturb the snakes, as they want to see them and those who do want to disturb them, as they want to experience the interactivity. 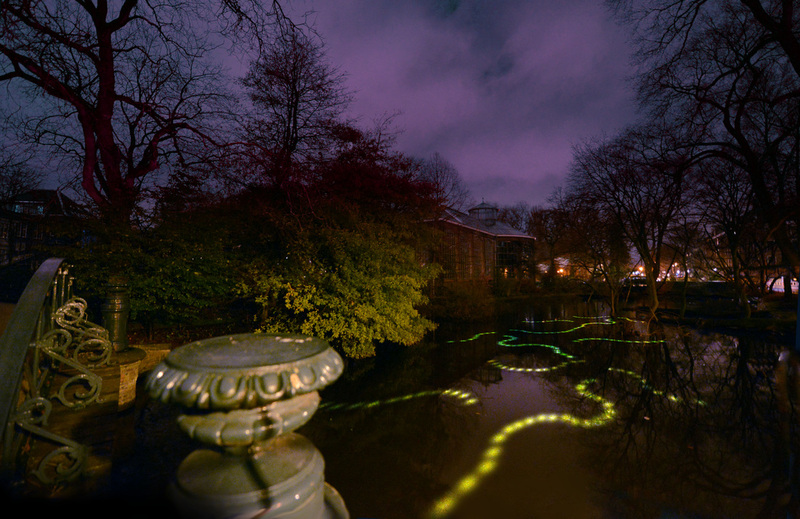 The art collective Tropism presents two projects at the festival of which Sneaky Serpents is my contribution and 'This is it, Be here now' is Alfred Marseille's idea. 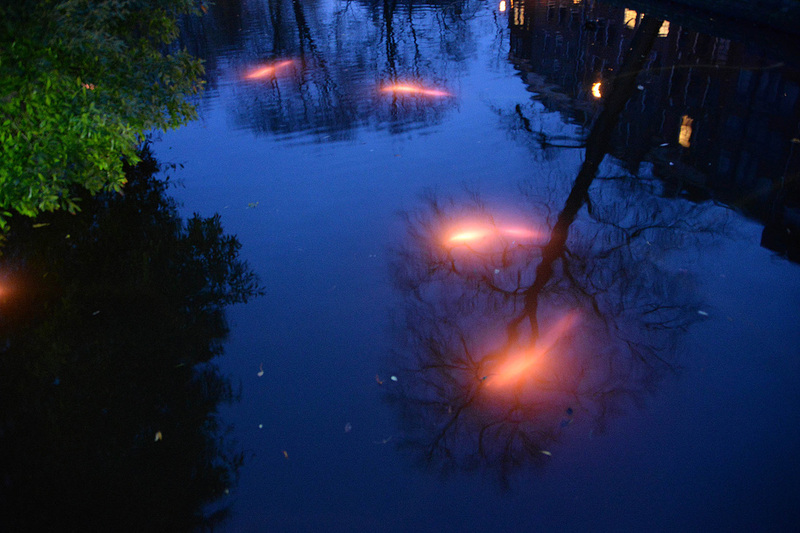 Paul Godschalk did the technique and programming for both projects and Menno Schrap was responsible for the audio technique and placing of the snakes. 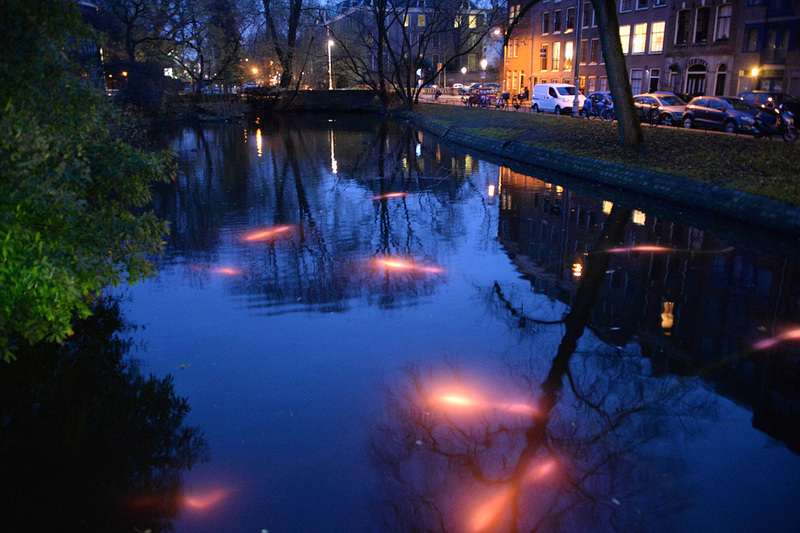 A timelapse film of all Amsterdam Light Festival Walking Route art projects.